Dr. Melissa Sotillo graduated from Boston University with a Bachelor of Arts in Psychology in 1995. She received her medical degree from the SUNY Health Science Center at Brooklyn, also known as Downstate. She did her residency in obstetrics and gynecology at Winthrop University Hospital in Long Island, New York. Shortly there after she became board certified in OB/GYN. Dr. Sotillo practiced obstetrics until 2011 and gynecology until 2012. 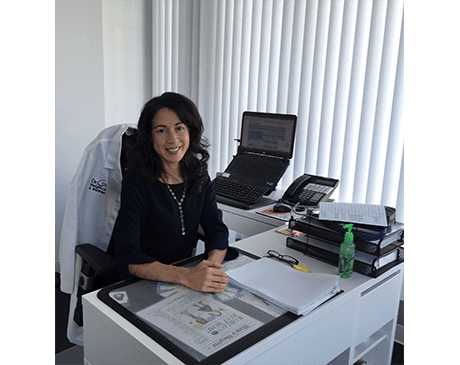 She integrated Dr. G’s weight loss program into her practice in 2010 and by 2012 she focused only on seeing and treating patients for weight loss and she has continued to do so since then. Dr. Sotillo became interested in helping patients lose weight due to the amount of peri-menopausal and menopausal patients who would come to see her with complaints regarding weight and the difficulties encountered trying to effectively lose when there is hormonal change going on. She has seen and treated over 10,000 patients for weight loss and continues to practice empathetically and passionately for her patients.